These days there are too few books that set out to inform you of some aspect of life that you may know nothing about in a few, well-chosen words. I recently finished* reading one such book from The MIT Press Prime Movers of Globalization: The History and Impact of Diesel Engines and Gas Turbines. A "prime mover" in an engineering sense is a primary source of power. 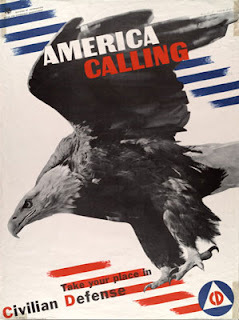 But it is also the driving force of some sort of change - and makes the book's title very apt. In essence, Professor Smil reflects on the changes wrought in global commerce by the development of reliable, low cost and efficient motive power for large ships and large aircraft. 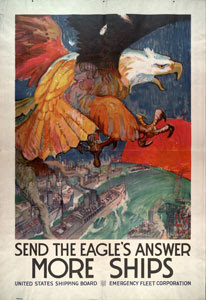 This has, in his view, allowed the spread of international commerce and travel by lowering the costs per unit of travel and created the situation where assembly plants in the United States safely can rely on the "just in time" delivery of components from far distant lands at minimal cost for transportation. The huge diesel engines driving container ships that are as large as aircraft carriers has made it possible for goods to flow across the ocean and raised the economic well-being of both shipper country and consumer country. Grapes from Chile and clothing from Vietnam, fish products from Thailand all arrive at our Wal-Marts, Costco and local groceries without much thought of shipping expense. 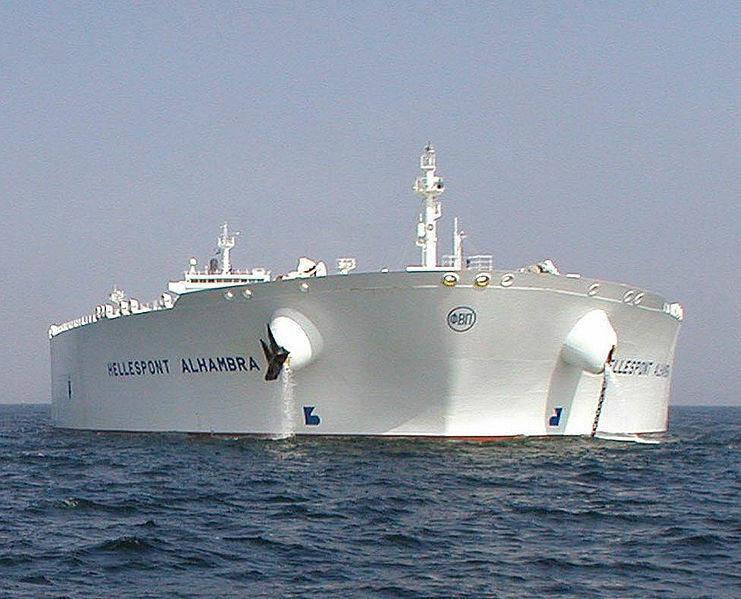 Crude oil from the Middle East travels cheap to Houston for refining. All due to the diesel engines that propel giant ships. Wärtsilä RT-flex96C is a two-stroke turbocharged low-speed diesel engine designed by the Finnish manufacturer Wärtsilä. 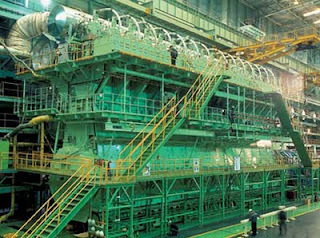 It is currently considered the largest reciprocating engine in the world, designed for large container ships, running on heavy fuel oil. The other night I overheard some parents discussing the difference between their own teen years and those of their kids. Once comment reflected that both domestic and international air travel was cheap and easy now - but when they were younger, a trip to the beach was a luxury. Almost no one could afford to fly just for fun. 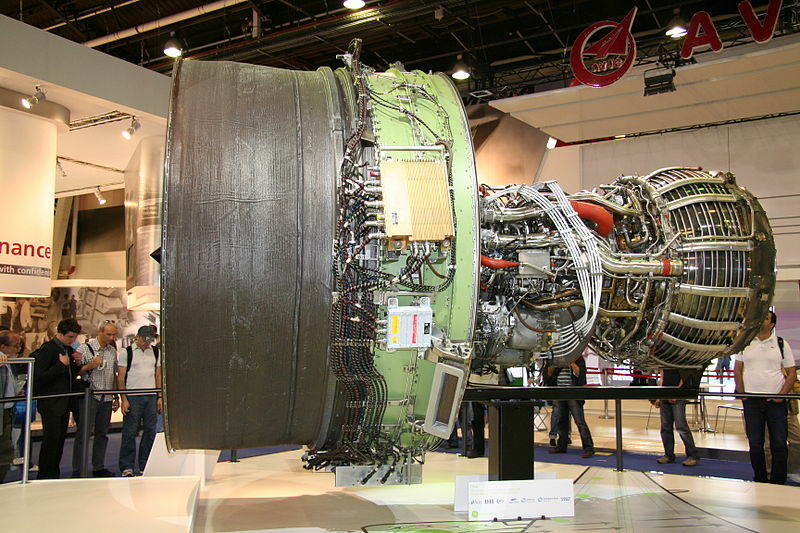 Professor Smil points to the efficiencies of the gas turbine engines that power the modern aircraft - which in turn allows larger aircraft to carry more people cheaply. 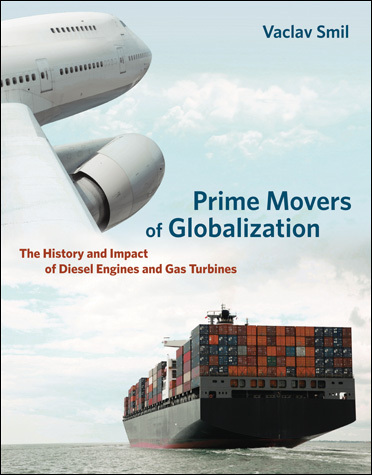 So, it may not be in your local library, but I highly recommend getting a copy of Prime Movers of Globalization: The History and Impact of Diesel Engines and Gas Turbines for an educational and thought-provoking read. The expectations created by the rising globalization of trade and travel or both understandable and problematic. Affluent consumers (and richer urbanites in low-income countries) now take for granted that basic manufactured goods should be fairly inexpensive (and in terms of average purchasing power, actually progressively cheaper) and that they should have access to an unprecedented range of foodstuffs and products. The producers of these goods for distant markets (whether Chinese assemblers of toys and laptops or Chilean or South African growers of grapes and pears) have come to expect that their output will continue to be in demand in ever greater quantities. Leisure and business trips on an intercontinental scale have become routine for hundreds for hundreds of millions of travelers, resulting in previously unthinkable personal experiences and productive ventures, and airlines anticipate further large increases of their aggregate passenger and cargo capacities. The beneficiaries of the process expect its rewards to continue, but they do not appreciate how fragile this arrangement is and how impermanent it may turn out to be in the long run. The fragility of the system he describes is not to the diesel or gas turbine engines - but rather, as we have seen in the last few years- to unexpected bumps in the underlying economic systems creating a cascading impact on demand and then supply. It is not the engines that get laid up as demand decreases but rather the hulls they operate in. See also my earlier post on Things to Consider. * "Recently finished" only because I had buried it other a bunch of far less relevant books.